Clark College, in Vancouver, Washington continues to show it is really more of an Institution of Leftist Indoctrination than it is an Institution of Higher Education. Actual education seems to be secondary to actually educating students seeking to better themselves in being functioning members of society as it was when I was a student there. As we have seen since the 2008 campaigns that propelled Barack Obama into office, in large part due to his having one Black parent from Africa, opposition to Obama is quickly labeled “racist” in an effort to impose White Guilt and shut down any opposition to Obama. We have seen it across the country as something is created or blown out of proportion to claim racial prejudice when there in fact was none to begin with. Nothing can epitomize this better than the case known as the Jena 6 just prior to Obama announcing he would make a bid for the presidency, even though he was still early in his first term in the U.S. Senate. We now see it locally as a simple protest in the city of Camas, a lone chair tied to a tree has been twisted and blown out of proportion to create a racial incident where there is none, labeled a “Chair Lynching” by the local unofficial daily newsletter for the Democrat Party, the Columbian. Missed or ignored by this “Diversity Adviser” is that Whites were lynched in our history as well. If you will recall, during the 8 years of the George W. Bush Administration, calls of “Kill Bush” were rampant as well as a host of racially insensitive political cartoons appeared on websites and some newspapers against Black members of Bush’s cabinet. Others, like Colin Powell were labeled “House Negroes” and worse by members of the left, with no condemnation, calls for “facilitated discussions” and not a single call from anyone at Clark College or the Columbian for any discussions on diversity. But let someone in another city over 15 miles away from the campus tie a chair in a tree to protest Barack Obama and the way it is being portrayed would lead one to think there is a major Ku Klux Klan rally being held, even though those who are protesting have clearly stated they have no racial intent, but are opposed to Obama’s policies and list of failures as leader of the free world. Not unlike many of us. I fail to see what this has to do with Clark College, but I am sure that this “facilitated dialogue” Tuesday will not be spent explaining to any that lynching’s in our history was not confined to Blacks or that no such lynching has occurred in decades, it is in our far past. I am sure it will not be a discussion on people’s right to free speech and a chair, regardless of who it is to represent, does not equal a racial attack, or that skin color is not what matters, character and ability is. I am equally sure much of the discussion will center around how wrong it is to protest Obama in this manner or much of any other manner, opposition frequently being labeled “racist” to play on White Guilt and the conceal or stifle opposition to both Obama and his far leftist agenda. 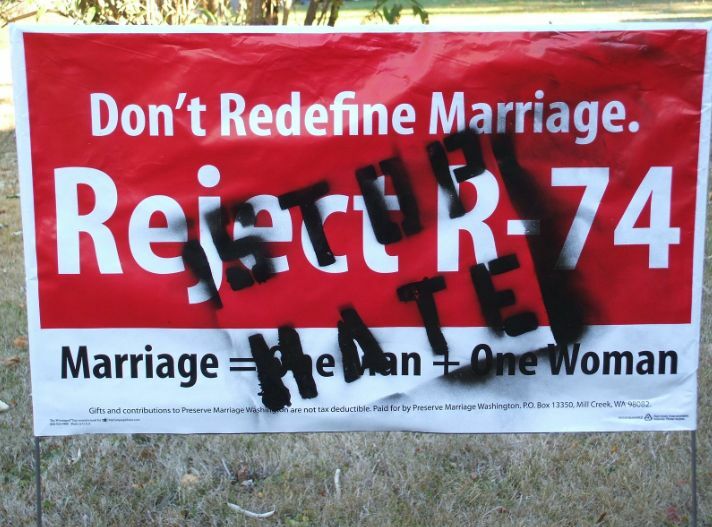 Will there be any discussion or condemnation of the vandalism seen around town by homosexual activist spray painting as many campaign signs as they can promoting the rejection of homosexual marriage? I sincerely doubt it and wouldn't doubt they will be praised for interfering with free speech of others, just as they are trying to do over this chair protest. I am appalled that the Columbian and others, including Clark College have latched on to a legitimate protest, a form of protest the left has frequently used and justified and now misrepresent it as a racial incident to silence critics of the current administration. Where is Clark College President Bob Knight, who has shown himself to be a pathetic president of the school, caving to special interests on such matters and even going before the County Commission to promote tax increases for unneeded projects, insulting Veterans in the process? Knight shows himself to be just as much of an empty chair as is Barack Obama by not standing up and informing those seeking to feign outrage at someone else using free speech to protest a sitting president that the protest in Camas has absolutely nothing to do with Clark College. But I guess they must justify their existence somehow. Obama’s performance in office has been ineffective and made the country worse off in every area. He is not above reproach, I don’t care what his racial mix is. He has bypassed Jimmy Carter as the country’s worst president. We must not tolerate these efforts to play the race card to silence criticism of his many failures. 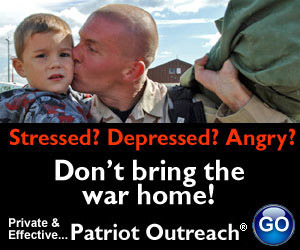 Do not let the left guilt you into not speaking out or displaying your displeasure with the poor job Obama has done. And until these “diversity advocates” include White Christian Heterosexuals in their call for diversity and acceptance, they should be ignored and marginalized.